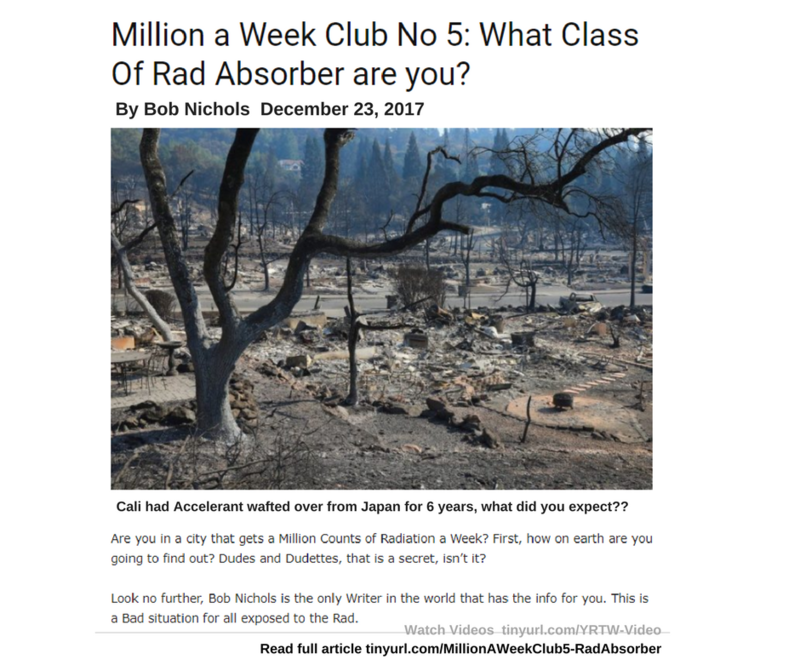 Million a Week Club No 5- What Class of Rad Absorber are you? Charted and mapped! This is a public service message brought to you and yours by Lucy Occupy & Friends in compliance with copyright permissions. WE ARE THE MEDIA NOW – Everybody must do their shares. Posted in: "Bob Nichols is a Project Censored Award Winner - a Veterans Today columnist and frequent contributor to various online publications. 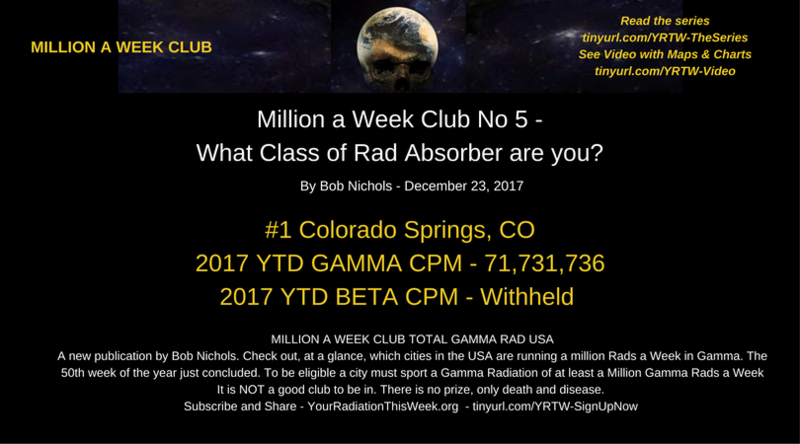 ", "MILLION A WEEK CLUB TOTAL GAMMA RAD USA", CPM, Fukushima, Gamma, MILLION A WEEK CLUB No 5 - What Class of Rad Absorber are you?, MILLION RAD COUNT CITIES, Nukes, Radioactive, Where's the BETA? 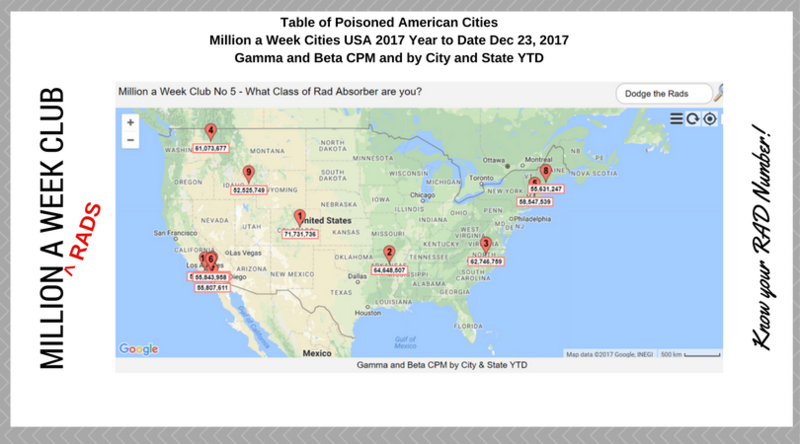 | Tagged: Continue to #DodgeTheRads #DodgeRadSnow #DodgeRadsNow, CPM, ELE is an acronym for Extinction Level Event, isotopes, Nuclear, Table of Poisoned American Cities, Ten Years of Annual US Radiation Measured Totals, Total Gamma Rad History since 2006, TOTAL GAMMA RAD USA, WE ARE THE MEDIA NOW - everybody must do their shares..., Where's the BETA?